The yield strength of a powdered material can be defined as the stress or force required to fracture a pre-compacted consolidated mass of material to initialize flow. Therefore, when determining flowability characteristics, the yield strength of the material is very important. The sample material will flow as long as the force acting upon the sample to cause the flow of the material is higher than the sample’s yield strength value. Particulate Systems’ fully automated SSSpinTester uses the science of centrifugal force to measure the unconfined yield strength of fine powders requiring a very small amount of sample. 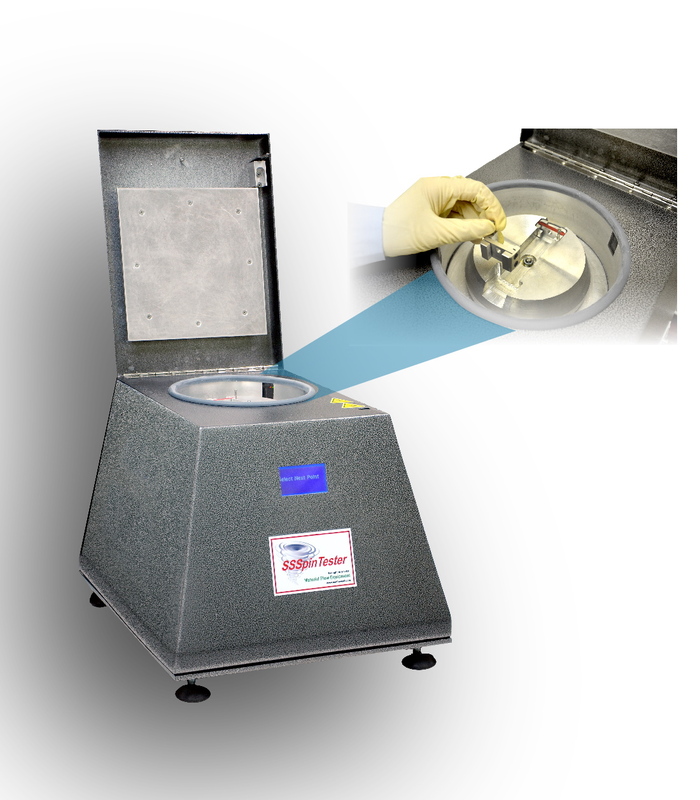 The instrument provides repeatable and consistent data by first consolidating the material using centrifugal force to compress the sample inside the sample holder. After the initial compaction step, the SSSpinTester then completes the analysis routine using the same centrifugal force to determine the yield strength of the material. Using the latest advancements in technology, this instrument provides measurements at an extended pressure range (0.05 kPa to 72 kPa). This provides actual performance results without the need to extrapolate data leading to inaccurate results. The SSSpinTester is capable of fast results, collecting a single data point in as little as three minutes and a five-point flow function in as little as 15 minutes. Only a small amount of sample is required (0.5 cc). Low-pressure strength can be applied to segregation on piles, capsule filling, fluidization, tablet feed, dispersion models and other low-pressure unit operations or formulation needs. The instrument also operates at the more traditional high-consolidation pressures. The SSSpinTester is ideal for testing yield strength and flowability for a variety of fine powder applications to include pharmaceuticals, catalysts, cosmetics, ceramics, chemicals, powdered metals and much more.